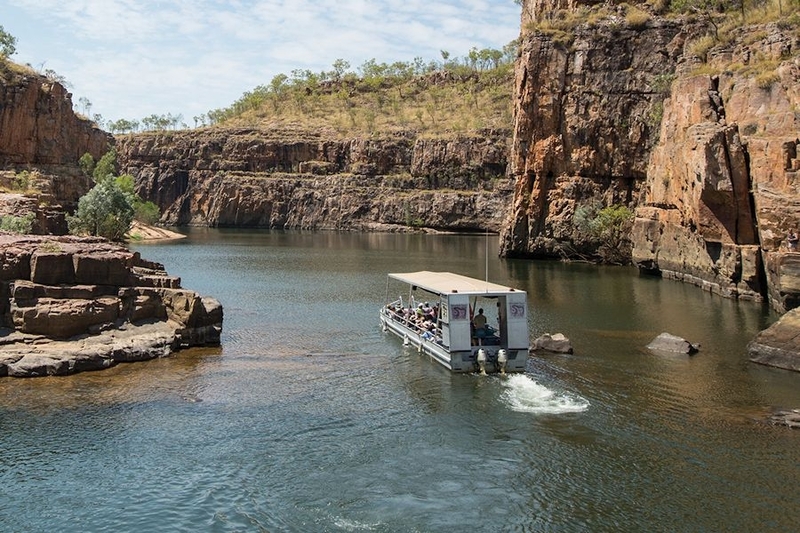 Fly into Darwin airport, and spend four nights in Darwin enjoying the sights of the city and the included Litchfield National Park and Jumping Crocs tours, before settling in for your unforgettable journey to Adelaide on the legendary Ghan. Along the way you'll experience the magnificence of Central Australia, stopping at Katherine, Alice Springs and Manguri with some great excursions to see natural wonders and local marvels. After your train journey you'll pick up a hire car to use over the next five days. 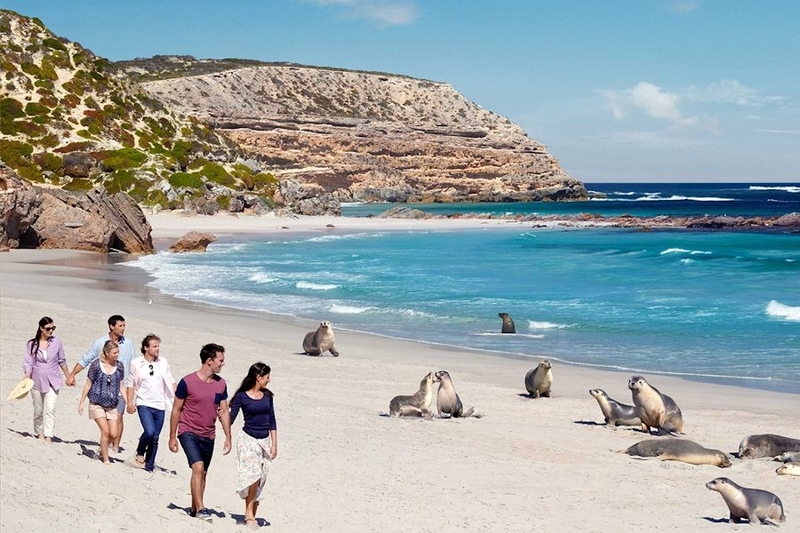 Enjoy two nights in Adelaide and then take the ferry to Kangaroo Island to explore this "alive" and wonderous island. 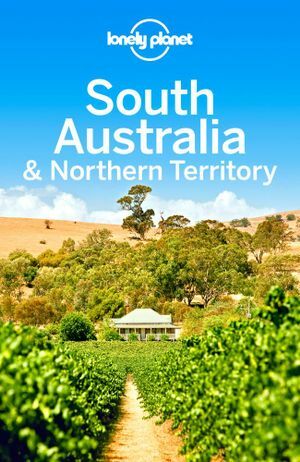 "An intoxicating combination of history, culture and natural beauty, this trip from Australia's north to south is a journey you'll never forget." 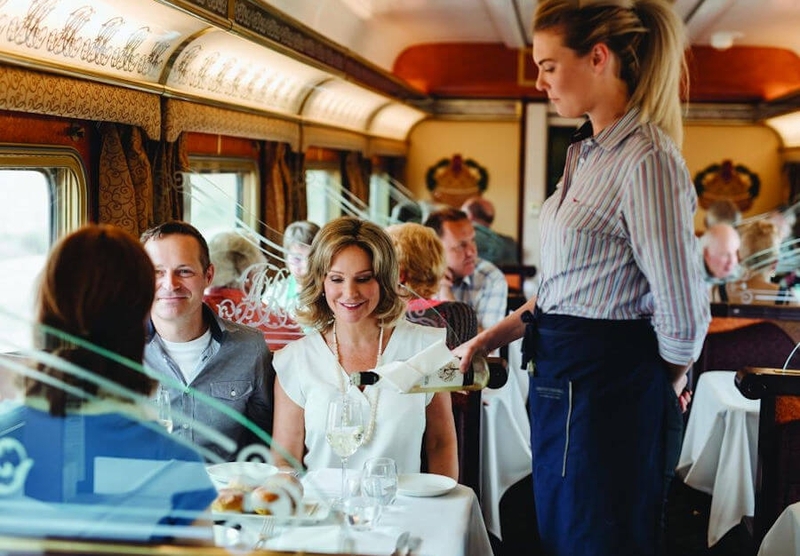 Experience the train journey of a lifetime through the heart of Australia, watch green grass and rolling hills turn to red desert and twinkling stars. 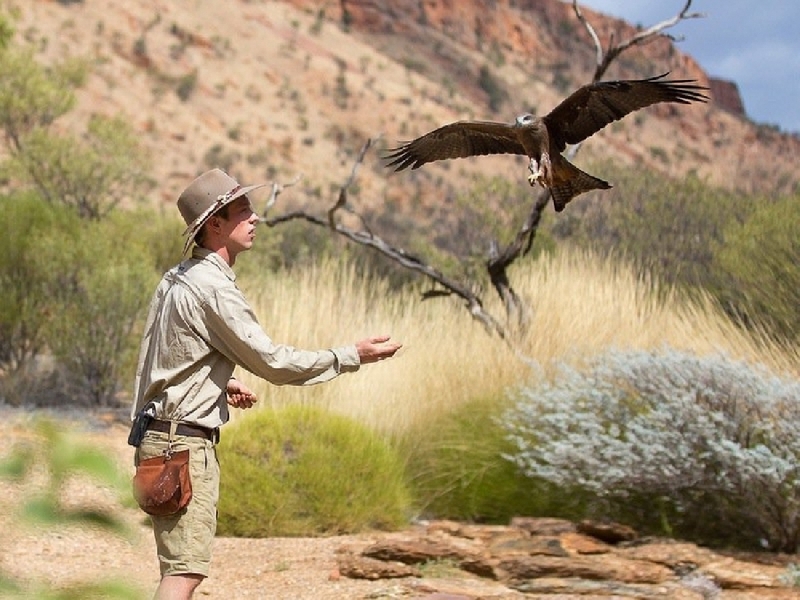 See breathtaking natural wonders and explore the wild outback. Visit Adelaide, a city of rich history, some of Australia and the world's best wines and marvellous surrounds. 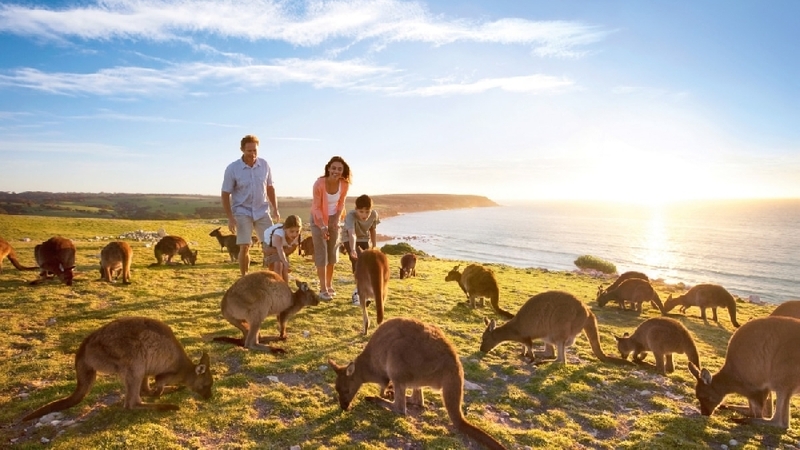 Then travel to the rural and wild Kangaroo Island to see natural beauty and enchanting wild life. 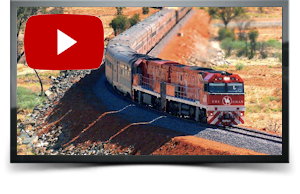 During January, February, March, November and December the shorter 2 night/3-day Ghan rail journey is packaged with 5 nights sea-view accommodation in Darwin and all activities. 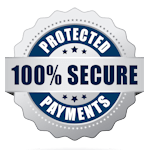 Add comprehensive, best-in-class, travel insurance for just $99 per person*, valued at over $300 per couple. Full insurance cover details are available on request. You will receive this guide to help you gain the most out of your holiday. Recommendation: Take the time to read suggestions for things to see and do before you leave home. Take your Lonely Planet guide with you in your luggage. Fly into Darwin airport, and spend 4 nights in Darwin, enjoying the sights of the city and included Litchfield National Park and Jumping Crocs tours, before departing on the legendary Ghan, experiencing the magnificence of Central Australia, on the way stopping into Katherine, Alice Springs and Manguri, giving you the opportunity to see natural wonders and local marvels. After the train journey you'll have a hire car for five days with two nights to explore Adelaide. Then you catch the ferry to Kangaroo Island and spend two nights there relaxing and taking in the surrounds. This fully planned itinerary also includes time to simply relax by the pool at each destination. Today you will be starting a remarkable journey that will astound you with its natural beauty and fantastic elegance. After flying into Darwin you have the day to enjoy the beauty of this unique city. We recommend a stroll along the Esplanade at Bicentennial Park and then dinner overlooking the harbour, so you can watch the sunset. Today you will experience the awe-inspiring beauty and wonder of Litchfield National Park. Here you can see lush monsoon forests, huge termite mounds, curious rock formations, and beautiful waterfalls and cascades. First stop of the day is Florence Falls, where you'll embark on a scenic and interpretive bush and monsoon vine forest walk. There is also the chance for a swim by making your way down the stairs to the plunge pool below. Travel on to Tolmer Falls for a magnificent view of the water cascading down to the deep waterhole at the base of the falls. To finish the day, you'll visit Wangi Falls with its large crystal-clear pool, another relaxing spot for a swim. A great day for taking many fascinating photos, including the amazing stand of termite mounds. Today is yours to explore Darwin at your own pace. Refer to your Lonely Planet guide for some inspiration on what to do. Perhaps visit some of the art galleries that show-off the creativity and spirit of the Top End. Or check out the Waterfront Precinct, a bold and beautiful new development that is perfect for anyone wishing to see the best of Darwin. This afternoon, your jumping croc adventure begins. Just 60km from Darwin is the Adelaide River, home to more than 1,600 crocodiles and the location of the famous Jumping Crocodiles. 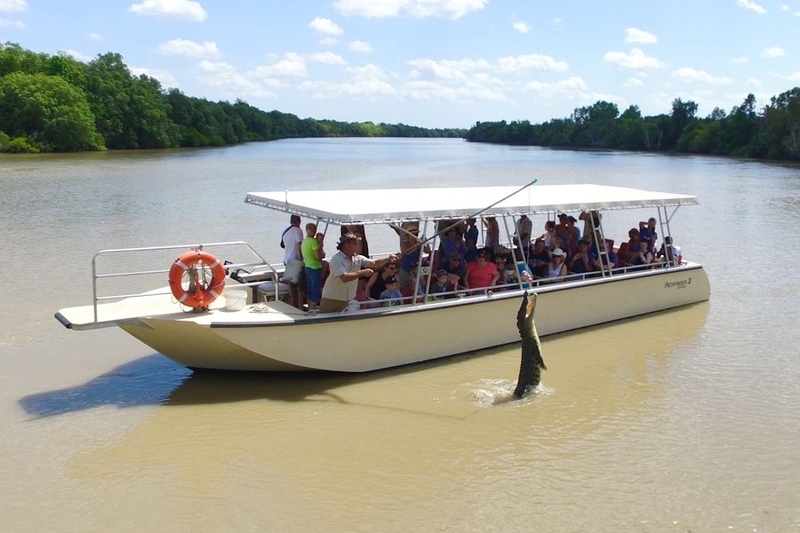 Cruise the river and watch as these awesome creatures launch themselves out of the water. The cruise will enable you to see the crocs at close range. Afterwards, continue to the Window on the Wetlands Visitor Centre for views over the Marrakai Plains, and then it’s onto Fogg Dam Nature Reserve to see a wetland ecosystem up close. 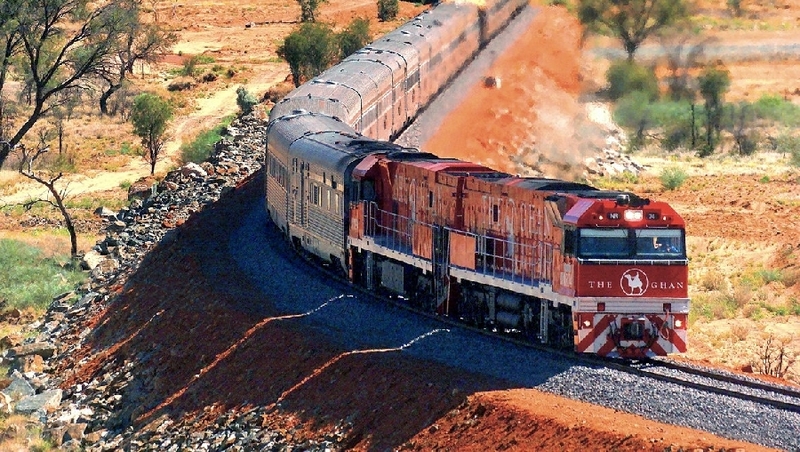 Settle in to the comforts of The Ghan today. 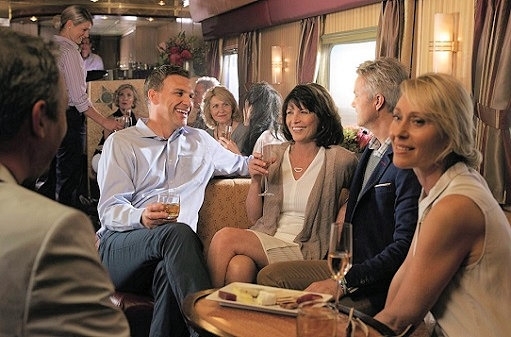 Relax in your cabin or mingle with fellow travellers at the Outback Explorer Lounge. Enjoy lunch ahead of your off-train excursion in Katherine. 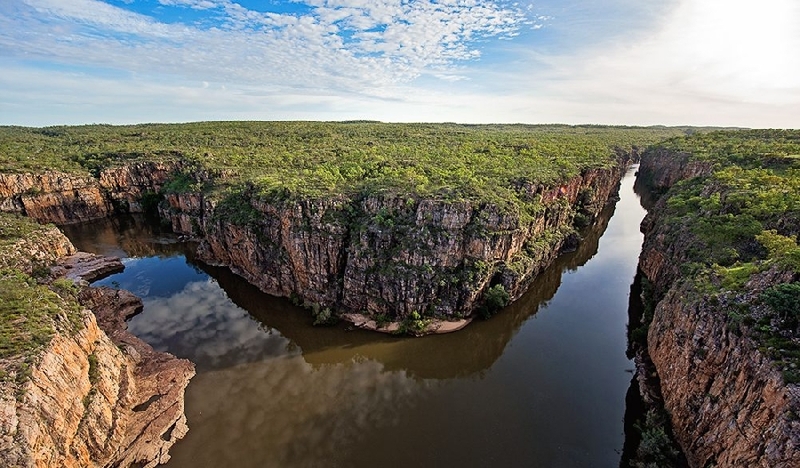 In a region renowned for jaw-dropping natural assets, Katherine boasts one of the Top End’s best – the incredible Nitmiluk Gorge. Your arrival into Alice Springs after breakfast provides you with time to explore the iconic town in the red heart of Australia. Prepare for a day of fascinating excursions and, in the evening, dine under a million stars. When you next disembark in remote Manguri, you’ll enjoy a full day exploring the amazing opal mining township of Coober Pedy. After completing the famous north-south crossing of the interior you will arrive into Adelaide. Once you disembark the train you can drop your bags at the hotel. You can set out to start quietly exploring this wonderful city. Pick up your hire car check out the surrounds including the wine country and Glenelg, a beautiful coastal spot with pubs and restaurants. You can enjoy watching the sun sink into the ocean from the west facing beach. Today you have the opportunity to further explore Adelaide. There is a massive range of things to do and see in Adelaide, from the beautiful beaches to the traditional architecture of the church filled streets, and even the hip bar scene of the ever-evolving Port Adelaide. To see Adelaide’s city we recommend the free city loop bus services, but if you want a more immersive experience then try the walking tours, with topics to explore ranging from controversial outdoor art pieces to following in the footsteps of famous locals. 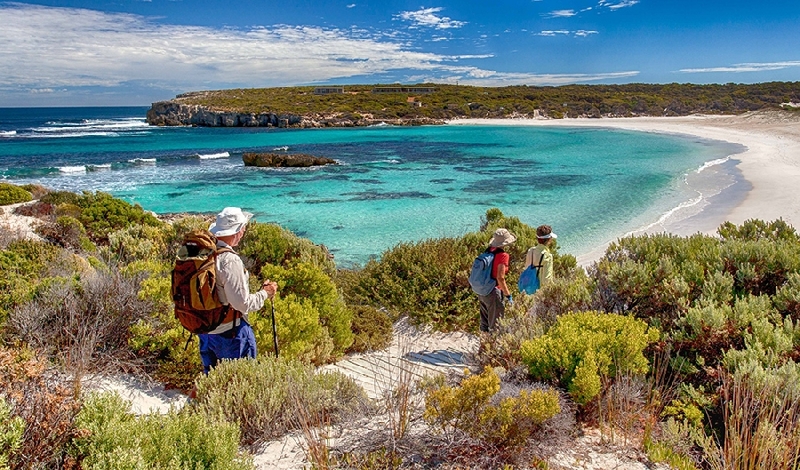 Today you will be heading to the wild and wonderful Kangaroo Island. From the kangaroos that give it its name to the sea lions and fur seals that lounge on the beaches, and more, this island is the ultimate destination for wildlife enthusiasts. The wildness of the island isn’t just due to the animals though, the bush, coastal rock formations and limestone caves all add to the wonder and excitement. Today you have more opportunity to explore the harsh marvels of the island, perhaps visit the sea lions and fur seals, and maybe even catch a glimpse of some little penguins. For some local flavour visit the local honey farm or brewery, and if you are there on a day where its running visit the locally famous farmers market. Today you will be taking a ferry back to Adelaide, dropping your hire car off and then flying home after your fantastic holiday.